Administrative Law Judge (ALJ) Adrienne L. Krikorian, Office of Administrative Hearings (OAH), State of California, heard this matter on October 9, 24, and 25, 2012 in Lancaster, California. Attorney Christian Knox represented Student. Student’s mother (Mother) attended all days of hearing and testified. Attorney Bridge Cook represented Antelope Valley Union High School District (District). Special Education Director Johan Mekel (Mr. Mekel) was also present on all days of hearing and testified on District’s behalf. 1On November 16, 2012, Student filed a Motion to Strike District’s closing brief on the ground that it was filed one day late. District filed a reply to Student’s motion on November 19, 2012. District mistakenly understood that the due date for briefs was November 16, 2012 instead of November 15, 2012. Although Student argued that District had one day to read Student’s brief before filing its own closing brief, Student demonstrated no real prejudice caused by the District’s late-filed brief. Accordingly, the Motion to Strike is denied. Both briefs were considered by the ALJ. On August 14, 2012, Student filed a request for due process hearing. On the first day of hearing, upon joint request of the parties, the ALJ granted a continuance of the remaining days of hearing for good cause until October 24, 2012. At the hearing, the ALJ received sworn testimony and documentary evidence. At the request of the parties, the ALJ further continued the hearing to November 15, 2012 to allow the parties time to file closing briefs. Student timely submitted his closing brief and District filed its brief one day late 1 . The record closed on November 16, 2012. 1. Did District deny Student a free appropriate public education (FAPE) for the 2012-2013 school year by failing to offer and provide Student appropriate related services to address all of Student’s unique needs, including a qualified teacher for the visually impaired (TVI); an adequately trained one-to-one aide; supervision/training by a person/agency qualified to work with the visually impaired; appropriate orientation and mobility (O&M) services; training in braille and Nemeth Code; access to the expanded core curriculum; a structured social skills program; and a transition plan to Student’s high school campus? 2. Did District deny Student a FAPE during the 2012-2013 school year by failing to include measurable goals in all areas of need in Student’s August 2, 2012 individualized education program (IEP)? 3. Did District deny Student a FAPE during the 2012-2013 school year by failing to document Student’s needs for assistive technology (AT) and by failing to offer Student AT in his August 2, 2012 IEP? 1. Student is 15 years old and lives with Mother within District boundaries. 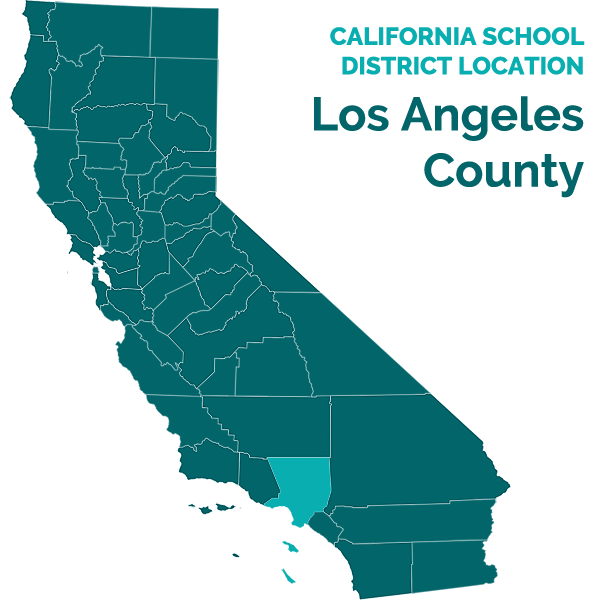 Student resides within the Antelope Valley Special Education Local Plan Area (SELPA), which includes District and Palmdale Elementary School District (Palmdale), where he attended Desert Willow School during the 2011-2012 school year. He currently attends the ninth grade at District’s Eastside High School (Eastside). Student suffers from Norrie’s Disease, the effects of which include total blindness. Student is eligible for special education under the eligibility categories of multiple disabilities and visual impairment. He reads and writes with the use of a braille writer and other technology. 2. On December 6, 2011, Palmdale convened an IEP team meeting at which two District representatives, Kathryn Taylor (Ms. Taylor) and Cheryl Davis, were present for the entire meeting. The Palmdale IEP team did not complete an annual or high school transition IEP for Student. Student underwent two independent educational assessments during the spring of 2012. As part of a due process final settlement agreement (FSA) dated June 21, 2012, between Mother and Palmdale, Palmdale agreed to fund, among other services, 180 hours of compensatory TVI services to be delivered at the rate of one hour a week in the high school setting and three and one half hours a week in the home setting through the 2013 extended school year, and training for the TVI and Student’s high school paraeducator at the Children’s Learning Center (CLC) in Tustin, California. 3. Robert Patterson, Psy.D (Dr. Patterson) testified as to Student’s psychoeducational needs. Dr. Patterson assessed Student on May 10, 2012. Dr. Patterson is a licensed psychologist, marriage, family and child counselor, and educational psychologist. He received his doctorate in psychology in 1988. His work experience includes private counseling, and public school work as a teacher, psychologist and administrator. He currently serves on the parent advisory committee of the Blind Children’s Learning Center in Tustin, California, and has had experience in assessing students with visual imparities. Dr. Patterson’s assessment included a battery of assessment instruments, including standardized tests, classroom observations, and parent and teacher interviews. Dr. Patterson demonstrated that he was qualified to testify as to Student’s academic and psychological needs as they existed at the time of his assessments. 4. Dr. Patterson concluded in his written report dated June 20, 2012, that Student performed significantly below average cognitively. Student also had difficulty with fine motor tasks, his ability to process what he heard was in the mild range of significant delay, he had significant strength in phonemic awareness, was in the mid-average range for sound blending, and was in the low average range for auditory closure on incomplete words. His attention capacity was significantly below average. He showed no significant hyperactivity or attention problems, and his executive processing was in the lower portion of the average range. Student was not able to complete the working memory task, demonstrating a weakness in short-term memory and working memory. His adaptive behavior was significantly delayed, and significantly below the first percentile. Student did not show any outstanding externalized behaviors, internalized behaviors, or adaptive behavioral deficits. He had some difficulty accessing appropriate skill sets, and his difficulty in neuropsychological processing and sensory motor processing impacted his learning. Student had a relative strength with phonemic awareness but not oral comprehension or retention of stories. Language was difficult for him to master. He had difficulty problem solving and with sequencing of material, particularly things that involved sequencing of sensory motor actions. His social emotional functioning appeared to be an area of relative strength, but he did not appear, during observations, to have good friendships or relate to peers on a personal level. 5. Dr. Patterson recommended strategies to assist with Student’s working memory, including using chunking strategies; mnemonics and “re-auditorization”; keeping oral directions short and simple; asking Student to paraphrase directions to ensure understanding; providing kinesthetic cues for steps to be followed and task specific instructions. He also recommended registering Student for Recording for the Blind in order to reduce the time District would need to provide a braille instructor; more specific instruction from the mobility instructor geared toward Student’s independent mobility skills; adding consultation in occupational therapy (OT) and physical therapy; school OT staff meetings with the Los Angeles County Regional Center provider regarding home services in functional skill development; shifting focus in school counseling to social skills, working in small groups to develop the language of social skills and reciprocal communication; and that the speech and language specialist consider small group work specific for social skills training to help him acquire skills to be more interactive with peers. 6. Dr. Patterson did not observe Student at any District high school, and he had no knowledge of what services and supports were available to Student at Eastside. His conclusions and recommendations were based solely on his observations and testing at Palmdale, and interviews with Mother, teachers, and service providers at Palmdale. 7. Sonja Biggs also testified to Student’s needs. Ms. Biggs is completing her Ph.D. in Education. She has a master’s degree in school counseling, and holds a California credential in multiple subjects. She is a certified O&M specialist and is pending certification as a specialist in visual impairments. She has taught visually impaired students since 2003. She is familiar with and teaches all components of the Expanded Core Curriculum (ECC), a supplemental curriculum for the visually impaired consisting of nine specific skill areas, which is incorporated into the California Department of Education 1997 Revised Edition of the Program Guidelines for Students Who Are Visually Impaired. The nine components are: compensatory skills, O&M, social interaction skills, independent living skills and personal management, recreation and leisure, career and vocational education, assistive technology, visual efficiency skills and self-determination (self-advocacy). Ms. Biggs demonstrated that she was qualified to testify as to Student’s unique needs as a visually impaired student. 8. Ms. Biggs assessed Student on June 13-16, 2012, while Student was at Desert Willow School. She recorded her findings and recommendations in a written report. In writing her report, she had in mind that Student would be transitioning to high school in the 2012-2013 school year. She conducted a functional vision assessment (FVA) in which she concluded that Student had no vision and therefore she could not test other aspects of Student’s vision functions. She observed Student during the FVA and concluded that Student’s sensory modality most used was his tactual system, with auditory being secondary. Student was a braille reader for literacy and Nemeth braille for mathematics. He could read third grade material at an instructional level when it was presented in braille. He had some difficulty in tracking, which required additional instruction to help him overcome his difficulty. Student used a manual braille writer for written work. He scored 17/20 on a spelling test using the braille writer. He had the capacity to learn how to use technology for the blind. He relied totally on auditory input for anything audiovisual, such as a movie or video. Student demonstrated adequate cane skills, although, based upon observations during Student’s work with Mr. Lund, Ms. Biggs recommended that Student should use a longer cane. Student had some difficulty with special skills, such as using a mental map for orientation. He was confused with time and distance and did not know when he had walked beyond his target destination. He had body awareness, but did not initiate trips to the restroom at school, in contrast to home. He had not yet been taught residential travel, such as traveling from the home front door to the mailbox and back. He had no experience with street intersections. He had little opportunity for developing social skills at school. He was talented at playing piano and had made remarkable progress from when he first started playing in December 2011. 9. During the hearing, Ms. Biggs offered the opinion that Student’s TVI provider, Kristen Knitter (Ms. Knitter), had been doing a “remarkable job” teaching Student braille. 10. Ms. Biggs recommended that Student receive consultative and direct services from a TVI five days a week for 60 minutes a day to teach braille skills, typing skills, and technology skills for the visually impaired; a variety of AT including a laptop equipped with “NVDA” open source screen reader software, Duxbury braille translation, and optical character recognition (OCR) software; a scanner, braille embosser and printer; an abacus; a talking watch; a tactile map of the campus; O&M services once a week for 60 minutes; instruction by a TVI or other qualified instructor in independent living skills for 60 minutes a week separate from braille instruction; and an instructional aide trained in braille for the entire school day. She also recommended that Student receive all assignments, textbooks, handouts, and other written materials in braille, electronic or audio format; that he be taught organizational skills to help him keep track of his materials and assignments; that he be taught how to do activities using daily activity routines at home and school; that he learn concepts using real objects or models; that he be provided extended time for completing assignments; special accommodations for state tests and classroom tests; a hearing evaluation by a Deaf and Hard of Hearing Specialist and audiologist; and a safety plan for use during emergency drills. She also recommended that Student receive instruction in the ECC. 11. Ms. Biggs did not observe Student at any District high school, and she had no knowledge at the time of her assessment as to what services and supports were available to Student at Eastside. Her conclusions and recommendations were based solely on her observations and testing at Desert Willow School, and interviews and email correspondence with Student’s teachers and service providers at Desert Willow. 12. Paul Lund (Mr. Lund) testified regarding Student’s needs in O&M. Mr. Lund taught Student O&M for approximately four years and at the time of hearing was his O&M teacher in the District. Mr. Lund received a master of arts in special education/orientation and mobility in 1992. He is credentialed and certified in California as a teacher and specialist in O&M. He has been a teacher of O&M for visually impaired students since 1992, and is a member of numerous organizations related to support and education of the blind and visually impaired. Mr. Lund demonstrated that he was qualified to testify as to Student’s unique needs in relation to O&M. 13. Ms. Knitter is a credentialed special education specialist for instruction in visual impairment and blindness. She received her master’s degree in the area of special education in 2009 and has worked for Junior Blind of America. She has been teaching visually impaired students for Lancaster School District since 2011, and was Student’s TVI in the 2011-2012 school year. Ms. Knitter provides TVI services to schools within the SELPA via a contract with Lancaster School District. Ms. Knitter’s job duties include teaching compensatory skills such as braille, assistive technology, organizational, independent living, and social skills. She routinely networks with other TVIs, attends conferences and continuing education seminars in her field, and has been affiliated with the California Transcribers and Educators for the Blind and Visually Impaired for two years. She received training at CLC in early fall of 2012 pursuant to the FSA. Ms. Knitter demonstrated that she was qualified to testify as to Student’s unique needs in relation to TVI services. 14. Mr. Mekel has a bachelor and master degree in business and special education. He holds credentials in business, special education and administration. He has worked for District since 1997, as a special education teacher, teacher on special assignment, program specialist and, for the past three years, director of special education. He demonstrated that he was qualified to testify as to policies and procedures that District follows regarding special education students who transition to the District from another District. 15. When a special education student transitions to the District without a completed IEP, the District will schedule an IEP meeting within 30 days after the start of school. District holds IEPs only for students who have enrolled in the District. Until it holds a transitional IEP or during the first 30 days, District bases a student’s educational program, including goals and objectives, on the student’s last agreed upon IEP. 16. In Student’s case, during July 2012, in preparation for Student’s high school enrollment, Mother and Student, accompanied by District representatives, visited several high schools within the District and chose to enroll Student at Eastside. District convened an IEP meeting August 2, 2012, before school started on August 13, 2012, in order to prepare staff to receive Student because District did not receive a signed high school transition IEP from Palmdale. 17. Most District staff attended the meeting while on their summer break. Ms. Knitter attended and stayed for the entire meeting. Mr. Lund attended by telephone for approximately 10 to 15 minutes. Also attending were an adaptive physical education (APE) teacher, speech pathologist, school psychologist, general education teacher, special education teacher, school vice principal, program specialist Charae Anderson (Ms. Anderson), program specialist Kathleen Astorian (Ms. Astorian), Dr. Patterson, Ms. Biggs (by telephone), Mother, a representative of her attorney, and District’s attorney Ms. Cook. Ms. Astorian facilitated the IEP meeting and co-scribed the IEP document on the web-based Special Education Information System (SEIS) with program specialist Ms. Anderson. 18. The IEP team meeting lasted six to seven hours. Ms. Astorian presented the continuum of placement and services available to Student, including the Center for the Junior Blind. The IEP team agreed that based upon Student’s ambulation and safety needs, Eastside was the most appropriate and least restrictive environment to service Student’s needs including his goals and objectives for functional academics and O&M. Dr. Patterson and Ms. Biggs presented their reports and recommendations, which the IEP team discussed. The IEP team agreed that an audiology exam, as recommended by Ms. Biggs, was appropriate. 19. The IEP team reviewed Student’s present levels of performance (PLOPs) in academic achievement and functional performance. In the area of social emotional/behavior, the IEP team reported that Student got along with his peers, he showed kindness and compassion towards them, he followed all school rules and adult directions, he behaved on the bus and on the playground, he followed step by step directions, enjoyed going into the community, could feed himself and was loved by the staff at Palmdale. Mr. Lund discussed Student’s PLOPs in O&M, and addressed safety concerns while ambulating on campus. The IEP team acknowledged that the paraeducator assigned full-time to Student would require training in working with the visually impaired. The IEP team discussed the issue of the length of Student’s cane, and agreed with Ms. Biggs’ recommendation that Student needed a longer cane. The IEP team also acknowledged that District had other staff working with visually impaired students in the District who had received training and support as appropriate for each student’s needs. The IEP team also acknowledged that Student was due for an annual IEP by December 2012, and that, as Student acclimated to high school, the case manager would begin to develop new goals and activities for development of a transition plan in time for the annual review. 20. Although Student met some of his goals from the December 12, 2011 IEP, the IEP team agreed that Student’s goals and objectives from his December 12, 2011 IEP were relevant and appropriate for District staff to implement and evaluate Student’s PLOPs in preparation for the December 2012 annual review or within 90 days after Student began high school. Ms. Biggs recommended that Student should have goals in daily living skills, literary braille, Nemeth braille, O&M, social skills and vocational transitional skills. Dr. Patterson recommended three O&M goals in conjunction with Mr. Lund that were incorporated into the IEP. The August 2, 2012 IEP included 20 goals in math, braille, writing, language arts, adaptive living skills, pragmatic language, O&M, social emotional, object control, and gross motor. Ms. Knitter wanted to continue working on Student’s December 2011 goals in the high school environment to better determine his needs, notwithstanding that Student had met some of those goals in middle school. Ms. Biggs and Dr. Patterson agreed that District staff needed time to get to know and informally evaluate Student in the high school environment in order to develop appropriate goals and objectives and re-evaluate services. 21. Mother expressed concern that District staff working with Student should be skilled in working with students with visual impairments and about the amount of O&M services Student would receive. 22. The IEP team offered Student placement at Eastside within the special day class-prevocational life skill setting for five 50-minute periods a day, and one period of mainstreaming in a general education elective such as music. District also offered: APE 30 minutes six times a week for a total of 180 minutes weekly; language and speech 30 minutes four times a month for a total of 120 minutes monthly; O&M 30 minutes weekly; TVI eight 30 minute sessions for a total of 240 minutes a month; OT 30 minutes weekly; a special circumstance paraeducator (SCP) for 100 percent of the school day; counseling and guidance 20 minutes twice a week; and extended school year. Page four of 41 of the IEP stated that Student did not require assistive technology. However, the next section stated that Student required low incidence services, equipment and/or materials to meet his educational goals. It also specified that Student required equipment and training which will assist in improving functional mobility skills, training to assist with braille and software for the visually impaired, technology and other educational materials for the visually impaired and blind, and print materials converted to braille. The IEP team printed the final version of the IEP and presented it to Mother, who signed it authorizing implementation of services, but disagreed that it offered a FAPE. 3The evidence established that the August 2, 2012 offer of APE was erroneously recorded as 180 minutes weekly instead of 180 minutes monthly. The September 17, 2012 IEP amendment, discussed below, corrected the APE services to reflect 30 minutes, six times, for a total of 180 minutes a month. Student did not raise this error as an issue nor request that the ALJ make findings of fact and conclusions of law as to whether it resulted in a denial of FAPE, and therefore it was not considered by the ALJ in the analysis below. 23. At the time of Student’s August 2, 2012 IEP meeting, the SEIS program developers were implementing software updates that created system errors that were unknown to District. As a result, the printed IEP document generated on August 2, 2012, contained clerical errors that were discovered after the IEP team meeting concluded. 3 The first error resulted in the checkbox for AT services being checked “no” instead of “yes.” The second error was a misstatement of the number and frequency of services for TVI. Although the August 2 version of the IEP reflected eight 30-minute sessions of TVI or 240 minutes a month, Ms. Knitter understood and believed that the IEP team offered one hour a day, five days a week, for a total of 300 minutes a week, throughout the school year, consistent with Ms. Biggs’ recommendations. 24. Ms. Knitter and Mr. Lund also understood and expected that District would provide Student with numerous AT devices, including a longer cane, a classroom desktop computer with braille overlays for the keyboard, a laptop computer with NVDA and Duxbury software, a USB memory stick for transport of work from home to school, a Bookport, a braille writer, Eye Pal Solo oral reader, a Nemeth decoder for work with numbers and mathematics, and a talking calculator. 25. Ms. Knitter notified Ms. Astorian shortly after the IEP team meeting that the IEP document had errors. Ms. Astorian thereafter notified Student’s case carrier at Eastside, Ms. Taylor. Ms. Taylor confirmed with Ms. Knitter that at the IEP meeting District had offered one hour a day five days a week of TVI services and AT services. Ms. Taylor also reviewed the rest of the IEP to determine whether any other clerical errors had been made. District generated two amendments to the IEP. The first amendment dated August 24, 2012, corrected the checkbox for AT services from “no” to “yes,” but it did not specify what AT would be provided to Student. Mother signed the first amendment at District offices but did not agree that the AT services were a FAPE. 26. Ms. Taylor completed the second amendment on or about September 17, 2012. The September 17, 2012 Amendments Page stated that “Student would benefit from Specialized Vision Services 240 minutes weekly” and she modified the FAPE Offer of Services page to reflect 240 minutes weekly. She discovered after she placed it in the District outgoing mailbox addressed to Student’s mother that she erred in listing TVI services as eight 30 minute sessions for a total of 240 minutes weekly instead of five one hour sessions for a total of 300 minutes weekly. Mother first saw the second amendment on the first day of the due process hearing; she signed and returned the amendment to District consenting to implementation. She did not agree that the IEP as amended offered a FAPE. 27. District assigned paraeducator Daniel Sanchez to Student full-time from the first day of school on August 13, 2012. Mr. Sanchez has been a paraeducator with District for six years. He has received training from District on working with students with health issues, including addressing seizures, CPR, first aid and emergency evacuations, and, at the time of the hearing he had attended two training sessions at CLC. Mr. Sanchez was not fluent in braille at the beginning of school but Ms. Knitter began training him in braille and on the use of Student’s AT devices shortly after the first day of the 2012-2013 school year. Ms. Knitter reviewed and corrected his translations of Student’s assignments into braille before they were delivered to Student’s teacher. Mr. Sanchez received consultation from Ms. Knitter and Mr. Lund each time they worked with Student. He remained with Student full time during the school day except for a 30-minute lunch break, when another District staff member covered for him. Mr. Sanchez maintained a Buddy Book for Student that traveled with Student in his backpack. He recorded, in the Buddy Book, which services and activities Student received and engaged in daily so Mother could be informed of his daily routine. Student participated in classroom activities, including “watching” video movies using a headphone for sound. Student had a safety plan that Mr. Sanchez was familiar with, and Student successfully participated in a campus fire drill with adult assistance. 28. Mr. Lund worked with Student and Mr. Sanchez on the first day of school. He provided more than 30 minutes weekly of O&M to Student from the second week of school. Mr. Lund often spent additional time during his visits consulting with Mr. Sanchez and Ms. Gonzalez. Mr. Lund determined that he would continue to provide additional services until he was confident that Student had acclimated to his new school environment and that Mr. Sanchez was sufficiently trained to work with Student in O&M during the school day. 29. Ms. Knitter provided Student with one hour of school-based VI services daily from the end of the first week of school, in addition to the TVI services called for in the FSA. Ms. Knitter kept separate logs of her IEP services and the FSA TVI services. She worked with a District AT provider on the first day of school to insure that the AT devices Student required were available or ordered for Student. As part of her instruction and consultation with Ms. Gonzalez and Mr. Sanchez, Ms. Knitter implemented the nine components of the ECC as she deemed appropriate for Student at that time. She worked with Mr. Sanchez regularly to teach him braille, and regularly ensured that Student’s assignments were translated into braille utilizing resources readily available to Eastside. 30. Martha Gonzalez (Ms. Gonzalez) has been employed by District as a special education teacher for students with moderate/severe disabilities in a prevocational setting since 2011. Student was assigned to her from the first day of the 2012-2013 school year. Ms. Gonzalez is a California credentialed special education teacher currently working on a master’s degree in special education. She worked as a special assistant for students with moderate/severe disabilities for four years before coming to District in 2006, where she worked as a paraeducator until 2011. Mr. Lund and Ms. Knitter have trained Ms. Gonzalez on a consultative basis in O&M and on the AT devices Student used. She does not read braille or Nemeth Code. She has provided approximately 50 percent of Student’s worksheets in braille; he completed other assignments using his computer. Student turned his assignments in using braille format within the week they are assigned. Student worked in pairs during math, played braille Bingo with survival words, paired with another student during English, and was exposed to typical peers during his music class, snack and lunchtime. His conversational exchanges were limited. Ms. Gonzalez began maintaining daily service logs to keep track of Student’s services beginning on August 30, 2012. Student missed part of the academic lessons working on his goals when any of the five service providers pulled him out of class for services. As part of Student’s curriculum, Ms. Gonzalez worked with Student on various components of the ECC, including self-advocacy, vocational skills, social skills, hygiene, sitting in a restaurant, bullying, and getting along with other students. Student participated in one community-based instruction activity at a local bowling alley, during which Mr. Sanchez, Mr. Lund, and Ms. Knitter accompanied him. 31. Following the August 2, 2012 IEP, and in preparation for Student’s annual IEP in December, Mr. Mekel contacted the California School for the Blind (CSB) to investigate what services, assessments and supports, including staff training, were available to Student through CSB. District filled all AT requests for Student from Student’s teachers or providers, including a longer cane, by the beginning of October 2012. Issue One: Appropriate Related Services and High School Transition Plan. 2. Student contends that District failed to offer the following related services in the August 2, 2012 IEP: a) a qualified teacher for the visually impaired (TVI); b) a one-toone aide; c) supervision/training by a person/agency qualified to work with the visual impaired; d) orientation and mobility services; e) training in braille and Nemeth Code; f) access to the expanded core curriculum; g) a structured social skills program; and h) a transition plan to Student’s high school campus. District contends the August 2, 2012 IEP offered Student a FAPE with regard to related services and supervision. 22. In summary, Student did not meet his burden of proof as to any of the subparts of Issue 1. 23. Student next contends that District denied him a FAPE by failing to offer appropriate goals, as recommended by Dr. Patterson and Ms. Biggs, in the August 2, 2012 IEP. District contends that the goals in Student’s August 2, 2012 IEP were appropriate based upon what District reasonably knew about Student’s needs at the time of the IEP, and therefore the IEP offered Student a FAPE. Student failed to meet his burden by the preponderance of the evidence. 24. Legal Conclusions one and three through 21 are incorporated by reference. 27. Student contends that District procedurally violated the IDEA by failing to document his need for AT and by failing to offer Student AT in the August 2, 2012 IEP. As a result, Student contends that District deprived Mother of the opportunity for meaningful participation in the development of Student’s educational program, and deprived Student of educational benefit and a FAPE. District contends that a technical error in Student’s IEP relating to AT was corrected shortly after the IEP meeting, and that the error did not result in a deprivation of any meaningful educational benefit to Student during the short time between the IEP meeting and the August 24, 2012 amendment. Student failed to meet his burden by the preponderance of the evidence. 28. Legal Conclusions one, three through 22, and 24 through 26 are incorporated by reference. 31. Regarding the time period between August 2, 2012 and August 24, 2012, Student did not offer any credible evidence that, prior to the August 24, 2012 IEP amendment, the clerical error in the IEP relating to AT denied Mother the opportunity to meaningfully participate in the decision-making process regarding Student’s educational program, substantively denied him a FAPE or deprived him of access to his education. 32. The evidence established that Mother meaningfully participated in the August 2, 2012 IEP with the assistance of her legal counsel, Dr. Patterson and Ms. Biggs. The IEP team considered Mother’s questions and concerns and the recommendations made by Dr. Patterson and Ms. Biggs, both of whom actively participated in the lengthy IEP meeting. The evidence also established through the credible testimony of Ms. Knitter, Mr. Lund and Mother that the IEP team agreed that Student would receive AT devices as part of his IEP. Ms. Knitter and Mr. Lund had an actual understanding during the August 2, 2012 IEP meeting, in light of Ms. Biggs’ and Dr. Patterson’s recommendations and their own experience working with Student, of what AT devices Student needed to access his education at Eastside during his transition to high school. Ms. Knitter met with the AT service provider at Eastside on the first day of school to insure that the devices were ordered if not immediately available. 34. Student also contends that District denied him a FAPE by not offering all of the AT devices recommended by Ms. Biggs. Although Ms. Biggs recommended an abacus, a talking watch and a tactile map of the campus, Mr. Lund and Ms. Knitter disagreed that those devices were essential for Student to access his education. Ms. Biggs’ recommendations were based on her assessments of Student while he was in middle school in another District, and she was unfamiliar with Eastside, all of which reduced the persuasive impact of her recommendations. On the other hand, Ms. Knitter and Mr. Lund credibly testified that they had worked regularly with Student during the past school year, that Student had made progress and met some of his goals during their prior instruction, and they needed to work with Student in his high school environment to determine whether he had additional specific needs. Student did not offer any evidence that by not having an abacus, a talking watch or a tactile map of the campus he could not meaningfully access his education at Eastside. Ms. Knitter’s and Mr. Lund’s testimony, when weighed against that of Ms. Biggs, was more persuasive on this issue. Education Code section 56507, subdivision (d), requires that this Decision indicate the extent to which each party prevailed on each issue heard and decided in this due process matter. District prevailed as to all issues that were heard and decided in this case.